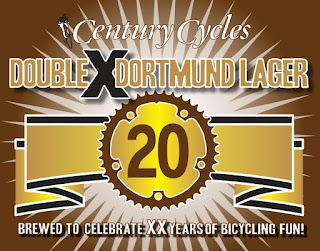 ...or actually two beers, to serve at Century Cycles' annual spring kick-off party this Friday! "When riding in traffic I always use hand signals, it helps people driving cars know what you intentions are and as far as I am concerned drivers need all the help they can get. Because I use hand signals, and because I am right handed I also switched my front brake lever to the right side of the handle bar. However, I get strange looks from other cyclists when I tell them I use hand signals and that I front brake with my right hand. Any opinions?" First of all, a bit of history about hand signals. They were originally incorporated into many states' traffic laws before cars had built-in turn signals. These hand signals remained on the books for use in the event of malfunctioning turn signals. The law said to signal a left turn by sticking your left arm out of the left side of the car. Since, in a car, you're sitting on the left side of the vehicle (at least in the US), it didn't make sense to put out your right arm to signal a right turn, because it was unlikely that anyone behind you would be able to see it. So, the law says that to signal a right turn, extend your left arm out and point your hand in the air. Since cyclists are subject to the same rules of the road as car drivers, many conscientious cyclists, to this day, will signal a right turn by raising their left hand in the air. This despite the fact that anyone behind a cyclist can see their right arm just as well as their left arm. Recognizing this, many states, including Ohio, have amended their vehicle codes to allow for right-turn signaling by cyclists using the right arm. So, what does all of this have to do with your brake levers? Some folks argue that you should still signal a right turn with your left hand, because most bikes have the rear brake lever on the right, so while signaling, your right hand is still available to operate the rear brake, if needed. 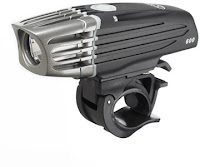 However, the law states that you do NOT have to signal continuously throughout the turning process, specifically when the hands are needed for the safe operation of the bicycle, or when the bicycle is in a designated turning lane. One-handed braking is a dicey proposition in any situation. Most experts agree that while most of your braking power comes from your front brake, it's safest to apply both front and rear brakes as evenly as possible to avoid skidding. 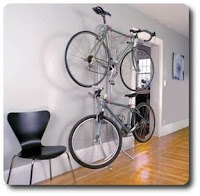 If you MUST brake with one hand, most cyclists prefer to apply only the rear brake, rather than only the front brake. If you're braking with only the rear, in the worst-case scenario, you'll lock up your rear wheel and go into an out-of-control skid. If you're braking with only the front, in the worst-case scenario, you'll lock up your front wheel and fly over the handlebars. A) All cyclists should use hand signals; if your cycling friends give you strange looks about this, then they are misinformed, and you should direct them to this article. B) You can set up your brakes and brake levers however you want; do whatever you feel is safest and most convenient for you. 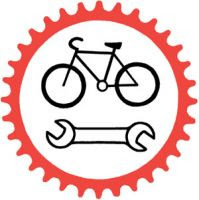 The law allows for safe signaling regardless of how your bike is set up. If your cycling friends give you strange looks for having your front brake lever in your right hand, tell them you're "kickin' it euro-style." 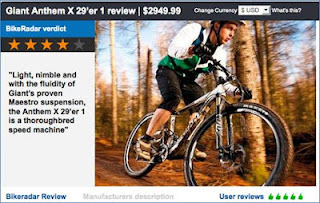 The Northeast Ohio bicycling community is really fortunate that WEWS NewsNet 5 videographer Tom Livingston is on the bicycling beat for the TV station -- he is an avid cyclist who shines a much-needed light on all the great bicycling news in the area. 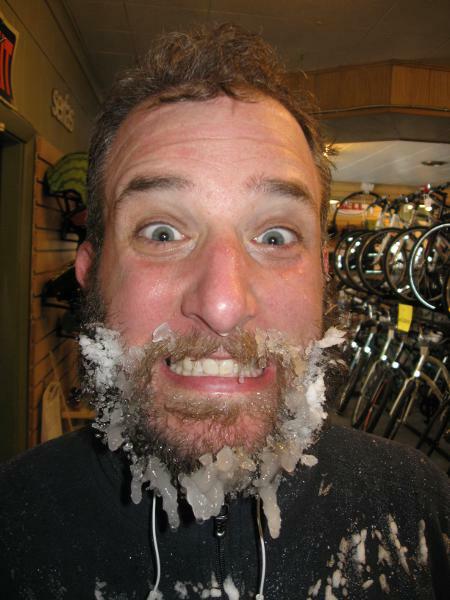 Look no further than his terrific report yesterday, which covered Century Cycles' tips on winter biking and storage, Jacob Van Sickle now heading up Bike Cleveland, Jim Sayer from the Adventure Cycling Association coming to town, and even a bike swap meet. A tip o' the bike helmet to Tom and WEWS! 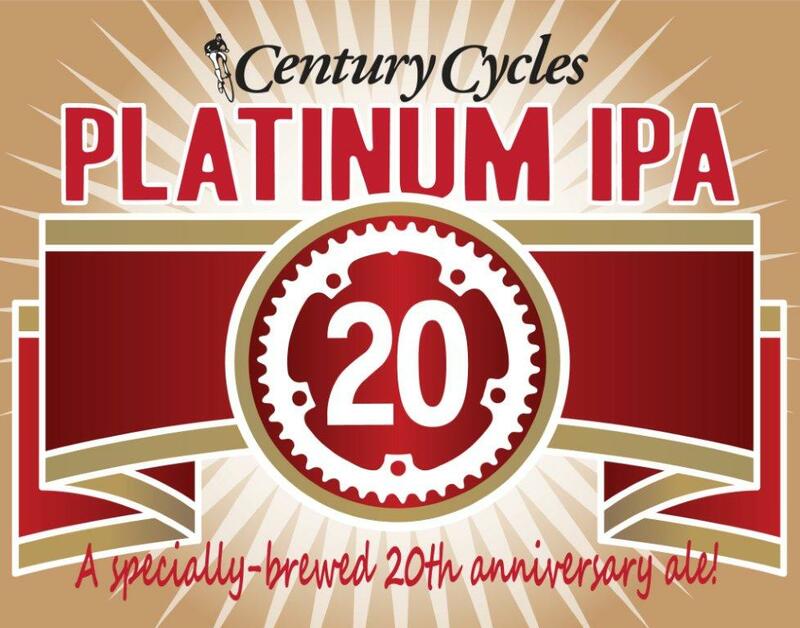 Free party March 2: Celebrate 20 years of Century Cycles! 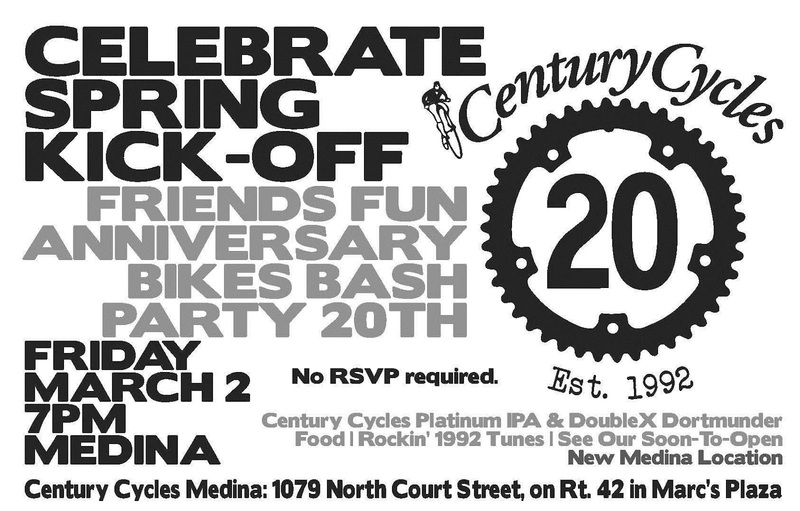 Our free annual spring party is rockin' it 1992-style to celebrate 20 years of Century Cycles! 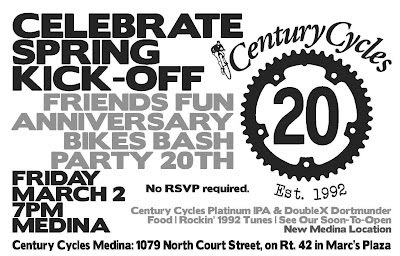 Everyone is welcome to join us on Friday, March 2, in Medina, the first Century Cycles store -- where it all started (and where it will all soon change to make the most of the NEXT 20 years). See you there! 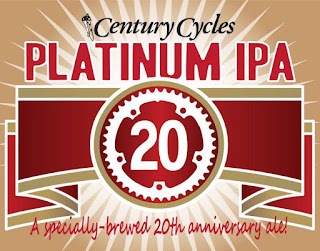 Radio Century Cycles is our monthly online broadcast hosted by Bob Soroky from our Medina store, featuring news, tips, and interviews with personalities from the bicycling world. The next show is tomorrow: Tuesday, February 21 at 10:30am. You can listen online, either live or any time afterwards! 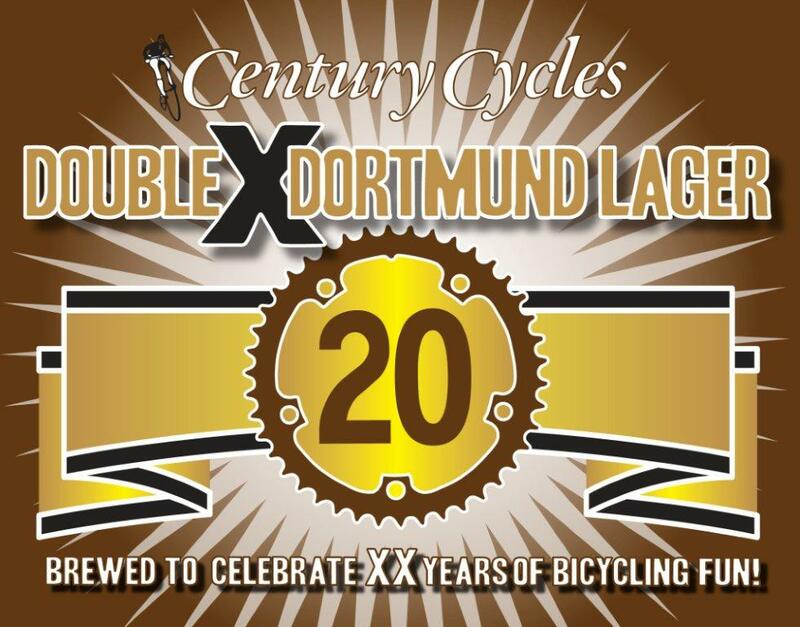 Tomorrow's show features Century Cycles owner Scott Cowan. Celebrating 20 years since the founding of the first store in Medina, Scott will talk about the store's rise from humble beginnings to Ohio's most awarded bike shop. 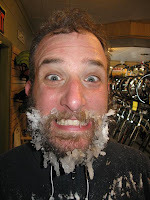 December 20, 2011 - Chip Ellison, sales representative for Pearl Izumi and Shimano, provide tips on dressing for winter cycling. October 19, 2011 - Ellen Bryan, Miss Ohio 2011, talks about her bicycle tour around Ohio to benefit the Children's Miracle Network Hospitals. 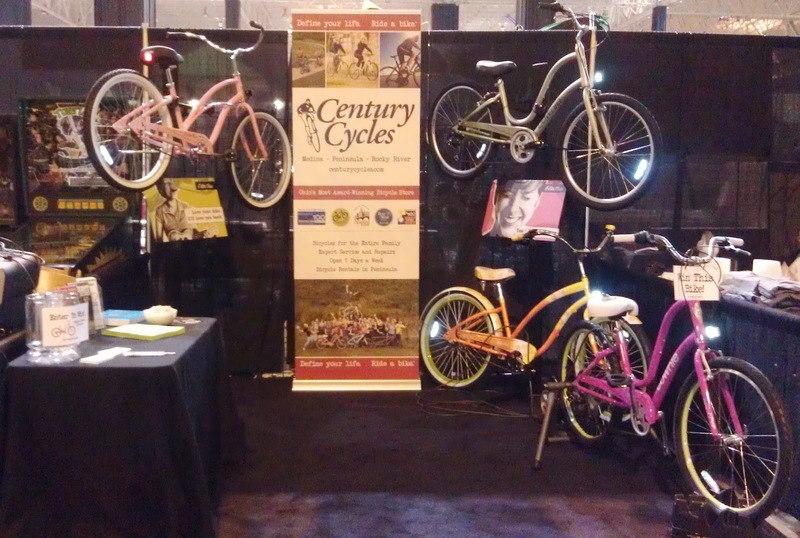 September 20, 2011 - Kevin Madzia, from the Century Cycles store in Peninsula, talks about news and the latest cool biking gear from Interbike, the annual bicycle industry trade show. July 19, 2011 - Mike McClintock recounts tales of his long days and nights during RAAM, the Race Across America. Save $$$ on all bikes! 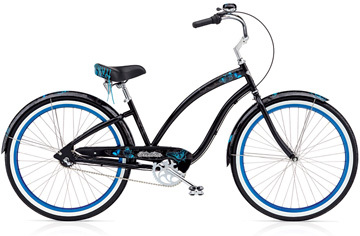 The following discounts are good off of the lowest marked price of all bicycles, including those already on sale! All In-Stock Trainers on Sale! Take 20% off the regular price of any in-stock indoor trainer. See www.centurycycles.com/get/service for descriptions of what's included in each service package. 40% Off ALL Keen shoes and sandals! 40% Off select Pearl Izumi cycling shoes! 40% Off select Shimano cycling shoes! 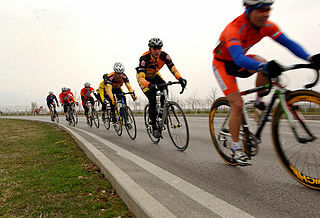 What cycling skill would you most like to learn or improve in 2012? 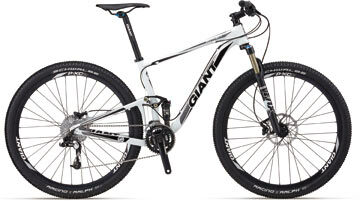 What cycling skill would you most like to learn or improve in 2012? Click here to take our latest online poll and let us know! Our last online poll asked, "How do you use your mobile phone during bike rides?" The majority of respondents (43%) bring their phone along, but don't answer it while riding. About half that many (26%) will answer important calls during a ride. Only 7% don't take their phone on bike rides. See the full results of the last poll here. 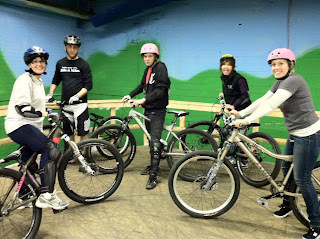 PLEASE NOTE: All three Century Cycles stores will be CLOSED on Wednesday, February 15, 2012 for our annual staff training day. Sorry for any inconvenience! 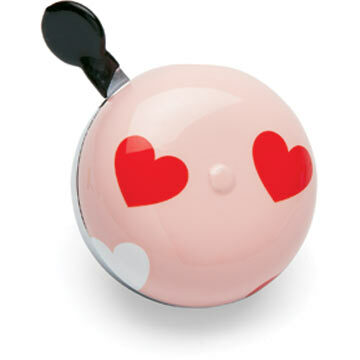 We will be open for our regular hours on Thursday, February 16. 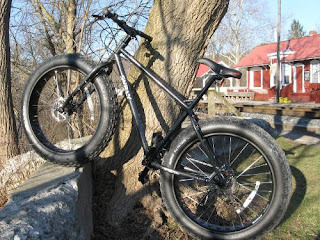 We just posted yesterday our lament about the lack of good snow to test out our snow bikes. Today finally provides the ideal conditions to take a snow bike for a REAL test ride, as the smiling customer in the video below did. Since the temperatures are expected to stay low for the next week, we've decided to schedule our long-anticipated Snow Biking Clinic! Dress warm, as this will be an OUTDOOR clinic, where you'll get to test ride the Surly Pugsley and Moonlander, learn about the special features and design of snow bikes, get tips for riding in the snow, and how to outfit a regular bike for snow riding. Space is limited, so call us at 330-657-2209 to RSVP for the event! See www.centurycycles.com/goto/clinics for the full schedule and details of our other FREE bicycling and maintenance clinics! Click here to read the complete news story on the station's website or if the video isn't working for you. It's great to see so many of our staff filmed by videographer Brian Archer during his visit -- and even better that longtime customer Mike Foley happened to be at the store and was interviewed as well! On Tuesday, Century Cycles was also featured in a similar story in The Plain Dealer about how bikers and hikers are taking advantage of the warm winter. That article reported that this is the third-warmest winter in the past 50 years, with an average high of 40.9 degrees. 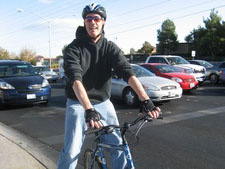 Last month, we surveyed Northeast Ohio bicyclists about their bicycling resolutions for 2012 and nearly half of them (45%) said their resolution is to ride more miles than in 2011. Closely tied for second place were those resolving to just "have fun" (21%) and the 20% of respondents who are resolving to train for and do something big -- a charity event ride, bike tour or race. For 11% of those surveyed, commuting by bike more often to work, school and errands is the top goal for the year. Only 2% are resolving to try a different kind of riding. Click here to take this month's online bicycling poll, which asks: "How do you use your mobile phone during bike rides?"